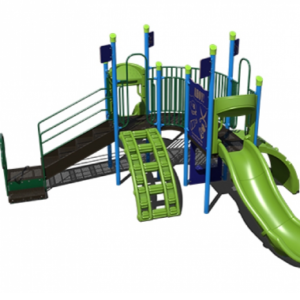 Experience creative ways to play while helping your environment. 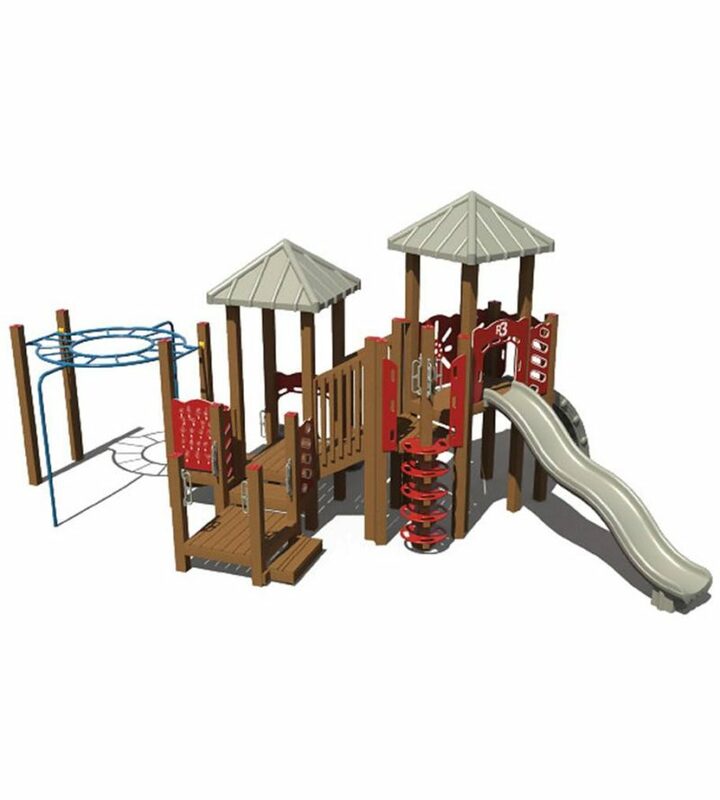 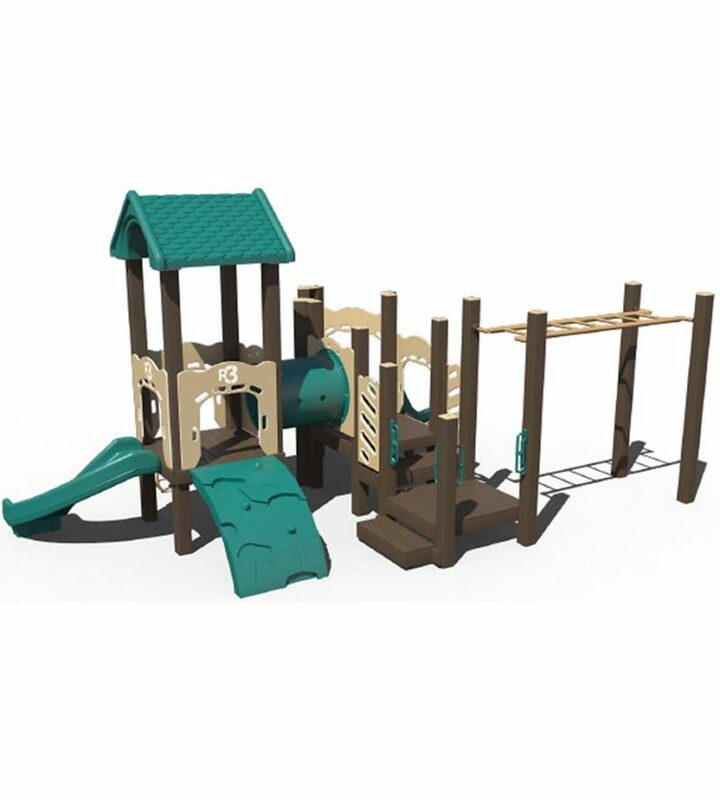 Our green playgrounds or environmentally friendly play structures offer the exact same play value as our traditional play structures while keeping various types of plastic and steel out of our landfills. 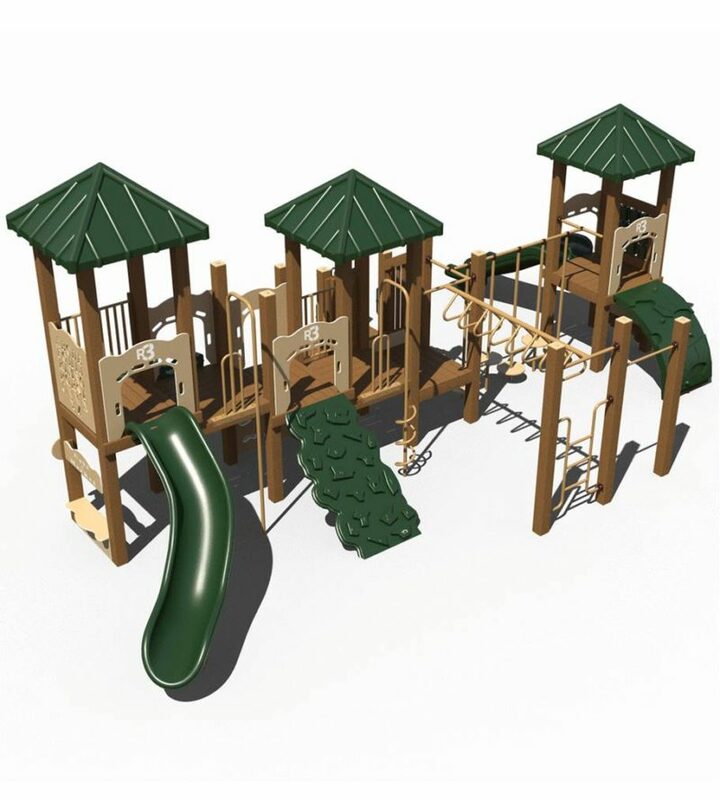 These recycled playgrounds keep the equivalent of 8 milk jugs for every pound of plastic lumber out of our landfills. 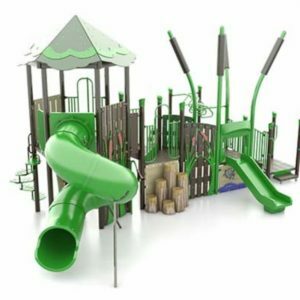 Not only are these playgrounds focused on helping our environment, they are also built to withstand the elements. 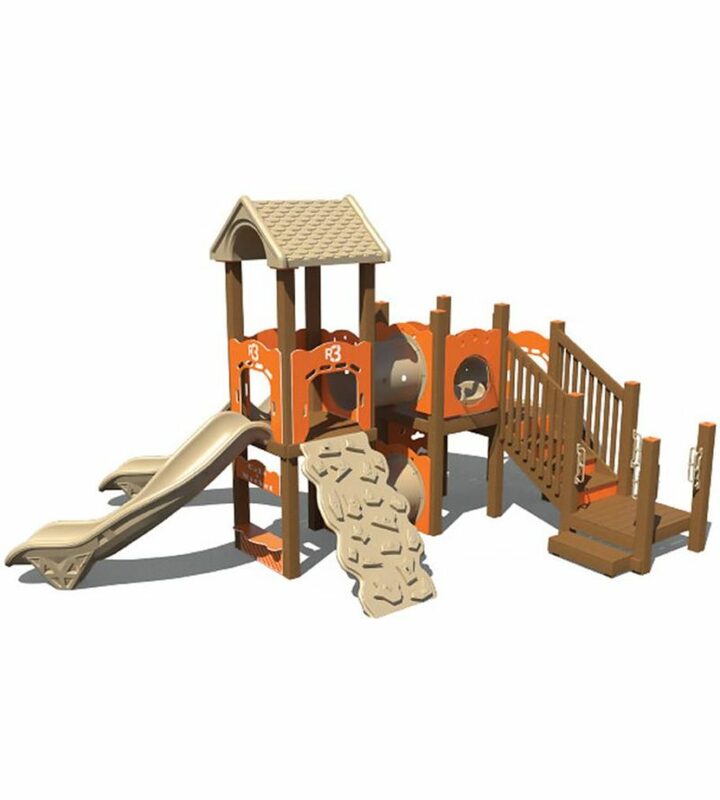 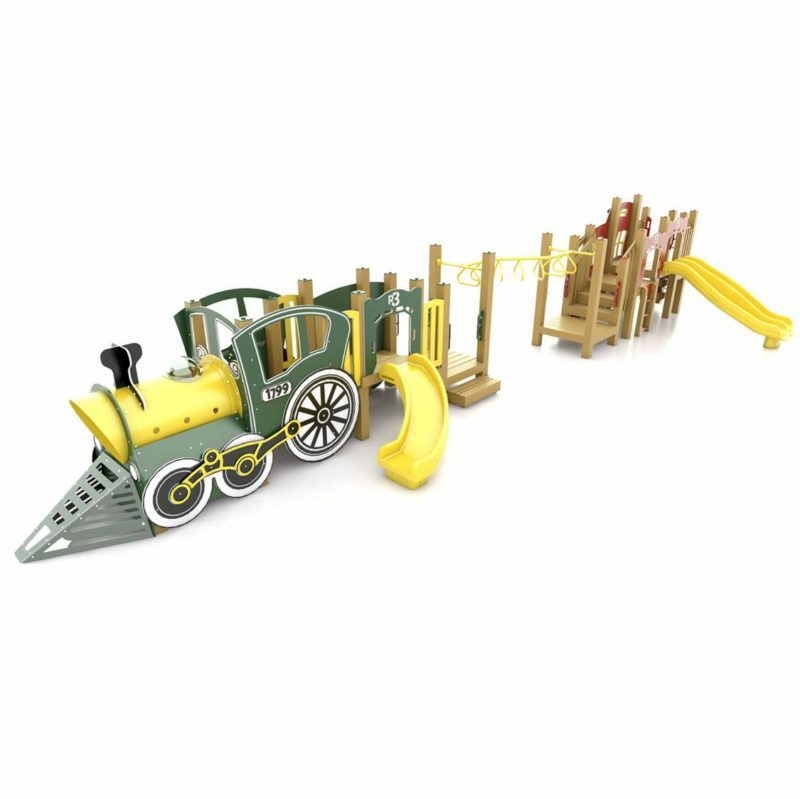 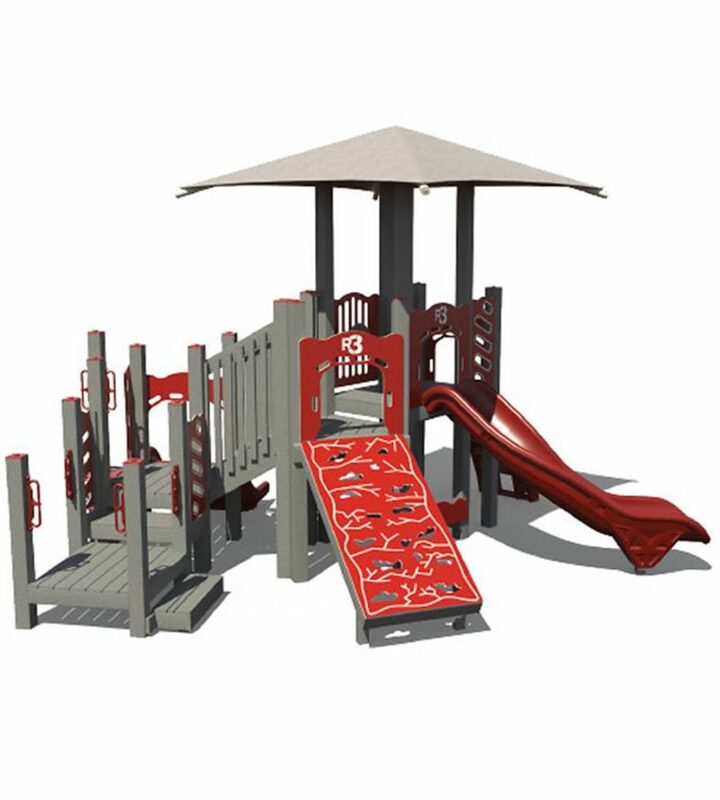 Since these recycled play structures contain posts and decks that are made of dense plastic instead of steel they cannot and will not rust or experience deterioration from the elements. 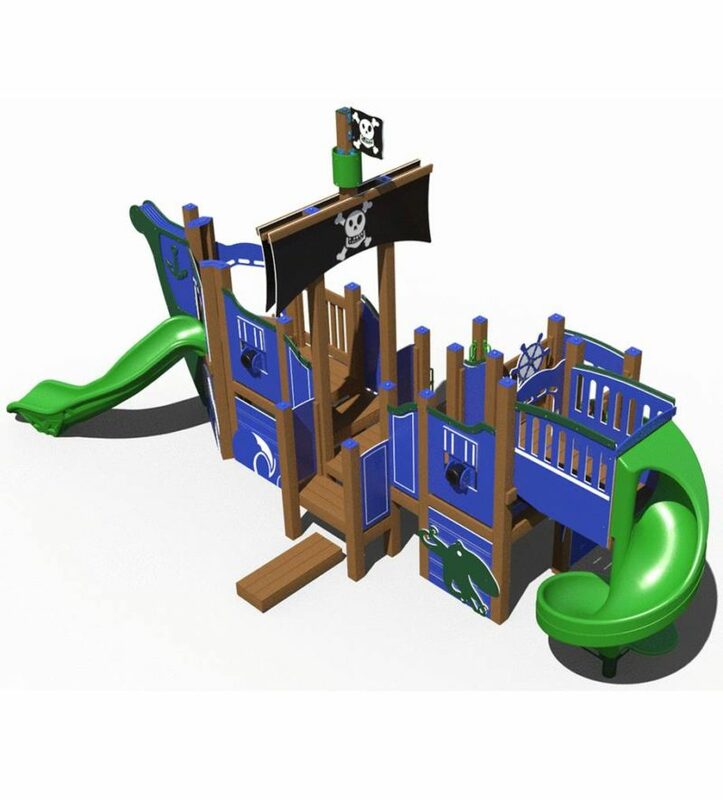 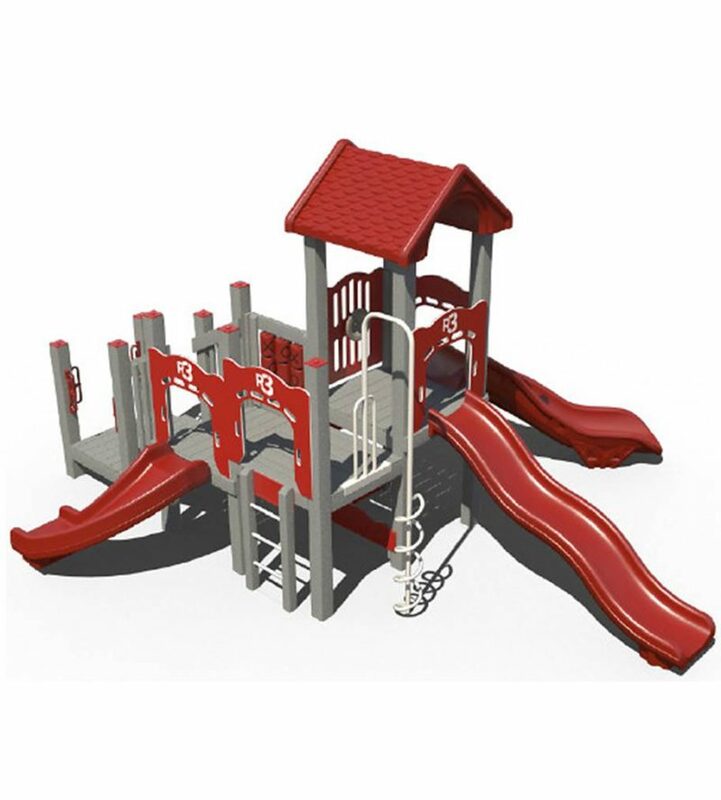 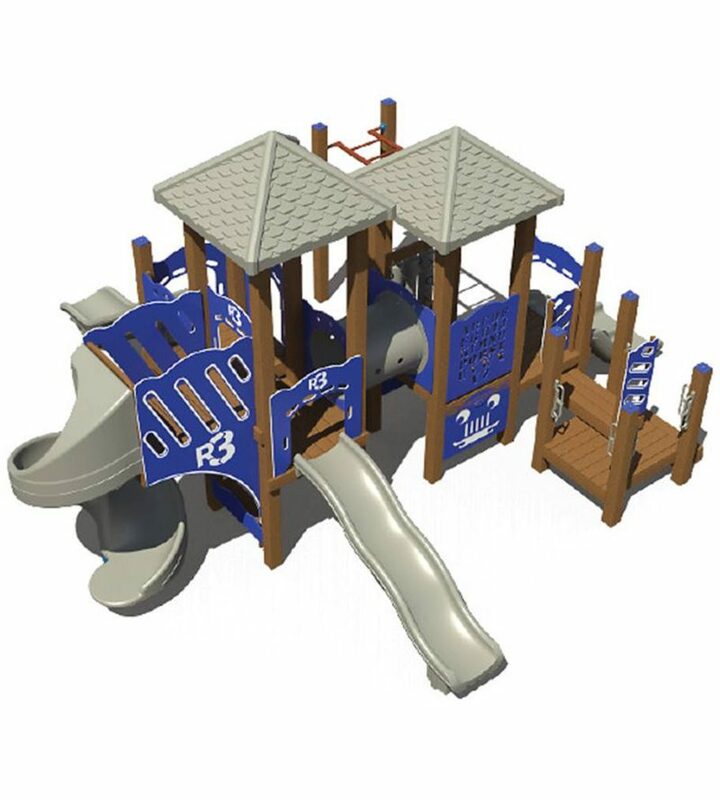 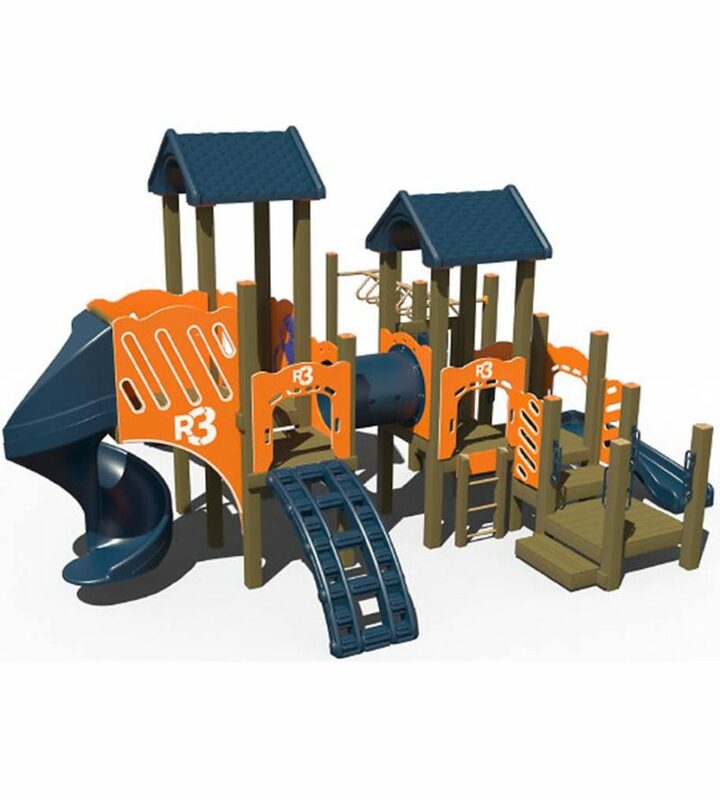 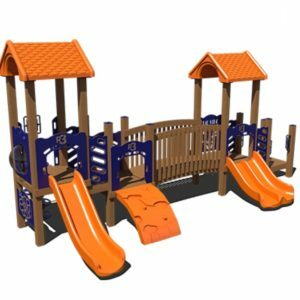 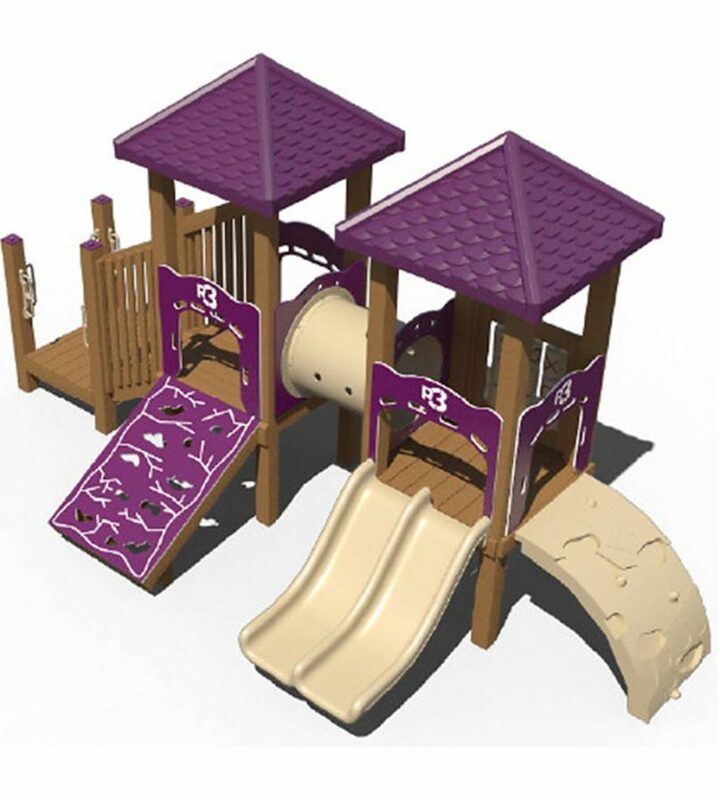 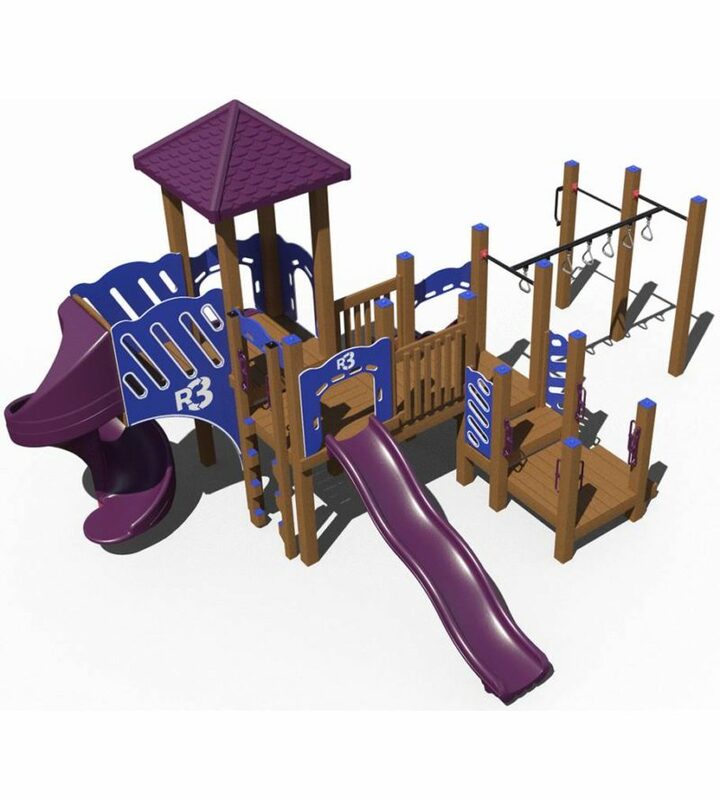 These play structures have become increasingly popular in coastal regions that are known to experience problems with rust and corrosion due to a wet and salty climate. 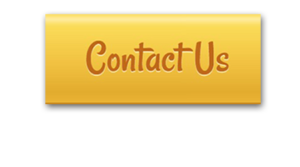 Be sure to ask your representative about additional options and customization.